Welcome to the HPL 501c3 Institute webpage. We enable people to achieve Health, attain Prosperity, and develop Leadership. We do this through helping groups put on workshops and classes, plan conferences, develop and maintain websites, produce video, and distribute publications. Kutztown University students are helping HPL 501c3 Institute by creating project plans and conducting a survey that will help figure out exactly which features to include in the website and apps development. The website and apps (tentatively named "ClassesAndGroups.com" and "SeekALeader.com" ) are designed to help Healthcare Providers and Integrative Healthcare Practitioners connect for the good of their patients and clients. Thank you SO MUCH for your help! 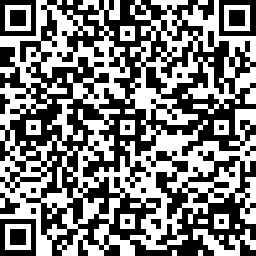 Please click here to take the survey if you haven't already, or hold your phone up to the QR code and read it with a QR reader to be taken to the survey site.